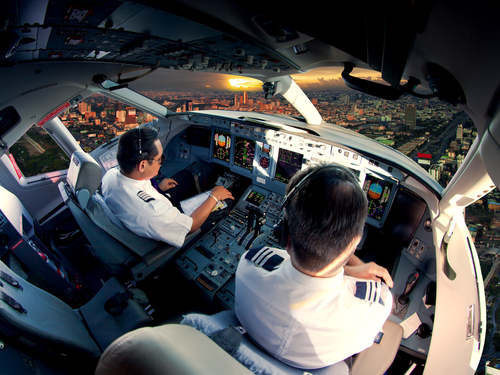 All journeys to become a commercial pilot begin with that first inflight training experience. So what can you expect to get out of this memorable experience? After reaching the dispatch room where you will wait to be greeted by your instructor, he or she will take you to the aircraft that was assigned to you for this unforgettable flight. You will then do a 10 to 15-minute preflight check by walking around the aircraft to make sure all is as it should be. Your instructor will explain everything throughout the check. After the check, you will sit on the right side of the aeroplane and put your headphones on to be able to hear the air traffic controller and your instructor, otherwise known as the pilot in command. This will allow you to hear all the instructions from both whiles in flight. The gauges will need to be checked before starting up the engine and taxiing to the runway. Your instructor will talk to ground control and do one last aeroplane check before takeoff. You will then get to enjoy the exhilarating feeling of lifting off the ground as you watch the world pass you by. Once you have reached a safe altitude and are a distance from the airport, your instructor will give you a little control, which will obviously be guided. This is when he or she will give you a lot of new practical information on flying. You will head back to the airport after substantial time has been spent in the air. Once you have received the air traffic control instructions, you will follow the traffic pattern to land. This is said to be the most thrilling part of your first flight. Once you have landed you will be de-briefed by your instructor. This flight will mark the start of your flying career and be will be an experience that you will remember forever. What makes a truly global flying school?